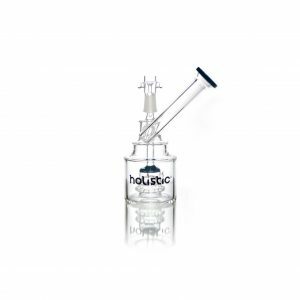 Holistic 7mm Borosilicate Tube, 10in Beaker with Standard Joint. 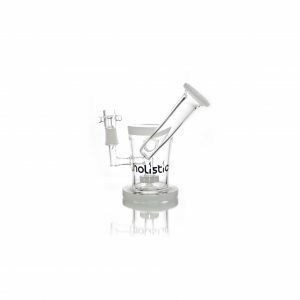 Comes with 18-14mm 3-slit Downstem & 14mm Bowl. 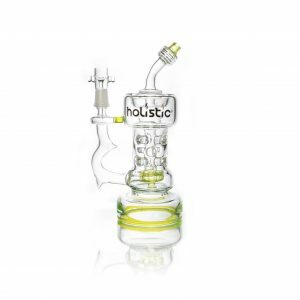 7mm Thick Borosilicate Glass & Ice Pinch. 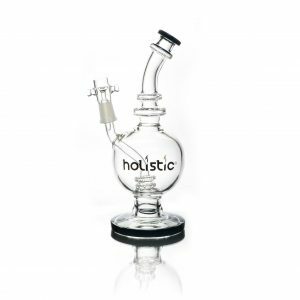 This extra thick, Borosilicate glass is sure to stand up against abuse that would shatter lesser glass. 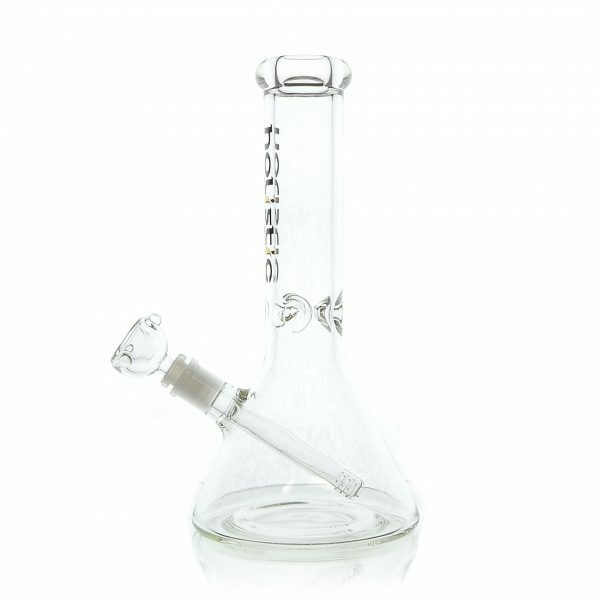 7 milimeters thick, with a three prong ice pinch, and a wide based beaker bottom, the pipe itself is a thing of next to indestructible beauty. 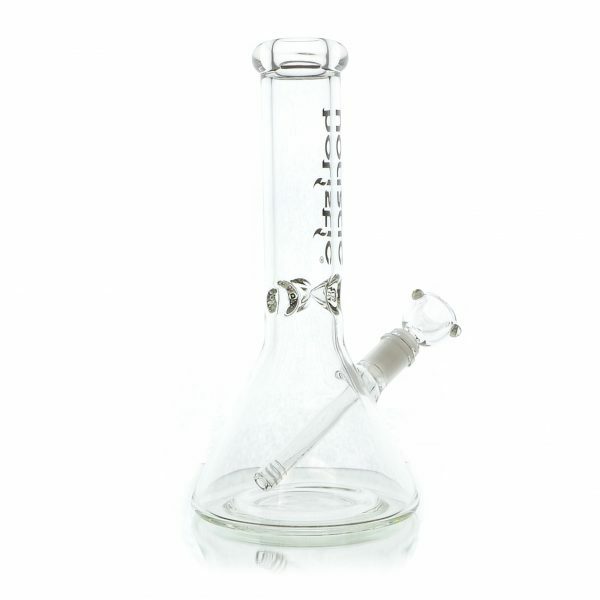 It comes with a standard 3-slit diffused downstem, perfect for making sure the most smoke interacts with the water. Pack the neck with ice to insure your smoke isn’t just cool, but ice cold on contact. Set up for dry herb use, it also comes with a clear, deep 14mm round bowl. 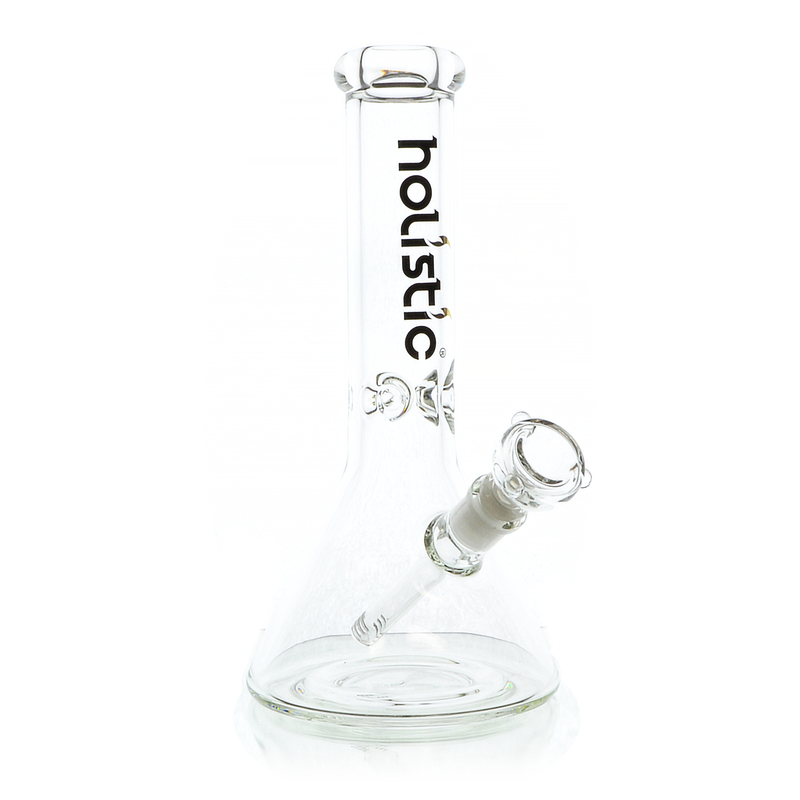 Our Borosilicate series continues the tradition of durability and excellence we at Holistic pride ourselves in. 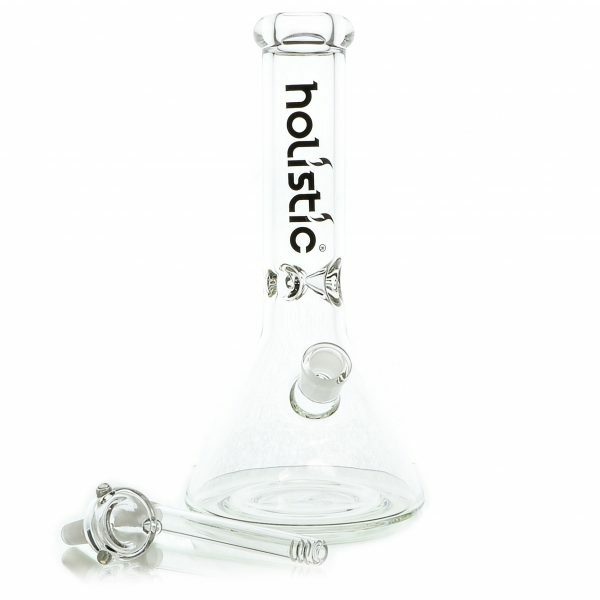 The extra thick 10 inch Borosilicate glass beaker not only stands tall, but stands strong as well. With an ice pinch, and a downstem and bowl included this is everything you need in a water pipe. Also available in 16 inches. Holistic Double Showerhead Perc & Round Base. Peacock Accent. Bubbler.